When the Internet first came into being, there are a lot of things experts predicted it would let us do. I'd be willing to bet good, hard cash, however, that one thing absolutely no banked on… is the popularity of Internet pets. Regardless, though, there's no denying that cute pets have become a staple of the online world, so here — have an infographic full of vital information about the most important dogs on the Internet. Because obviously you will never learn anything more important than what it takes to become an online pet sensation. Created by Clippers Ireland and proudly displayed by Infographic Journal, this handy-dandy chart tells you everything you need to know about some of the most notable pooches on the Internet these days. Some of them may be familiar; you probably already know Boo the Pomeranian, for example, or Menswear Dog (who, by the way, has a book coming out in April. True story). But I was surprised to find a number of Internet famous canines on it that I somehow have never heard of. How did I get this far without knowing who Jesse the Jack Russell terrier is? I have no idea. But that gaping hole in my life has now been filled, so hoorah for that. I've highlighted four of my new favorites — that is, pups I just found out about today — below; head on over to Infographic Journal to see the full image (which, by the way, also includes some pups who have gotten famous thanks to their human counterparts). You never know when this sort of knowledge might come in handy, right? Like Boo, Jiff is a Pomeranian. Unlike Boo, Jiff does more than just sit there looking cute: He can both walk on two legs and skateboard. See? 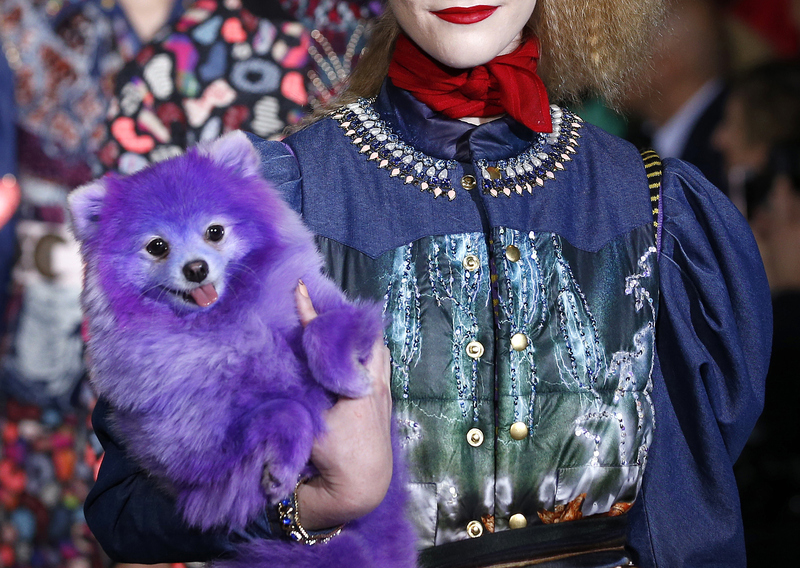 Menswear Dog isn't the only super stylish pooch on the Internet. Ginny, a Jack Russell terrier who lives in the UK, went from shelter dog to superstar, thanks to her winning personality and killer fashion sense (or perhaps more accurately, the killer fashion sense of her owner). She certainly knows how to carry off a pair of sunglasses, doesn't she? Click here to see the all the most important dogs on the Internet right now. You won't regret it. I promise.